The Society produces an informative quarterly journal called ‘Bromeliaceae’ which is available to all members and associated societies, both locally and internationally. 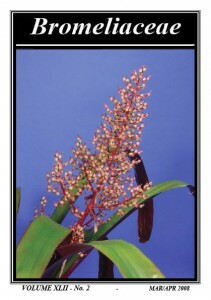 It provides articles of interest such as conference reports, book reviews, plant cultivation and propagation notes. The Editor continually needs new and interesting copy, material, articles, feedback, technical information, questions and photos to make the journal comprehensive. Please feel free to contribute to this interesting and exciting internationally distributed publication. As issues are published they are available electronically for members only for a period of 12 months before they become publicly available. If you are a member, and have logged in, you can see the current journals here. 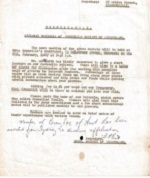 If you are not a member and want to check out some of our past issues, click here. We have attempted to ensure that the electronic copies are of a good quality while considering download limitations such as speed and file size. 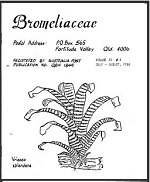 Promoting fellowship and knowledge in the cultivation and propagation of bromeliads in Queensland, Australia.